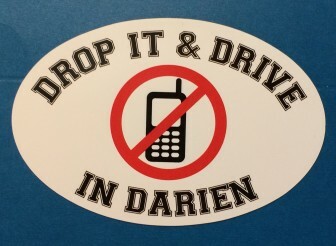 Darien police will be looking for drivers using cell phones while behind the wheel as part of a larger distracted driving campaign taken up by various departments around the state, the Police Department announced. 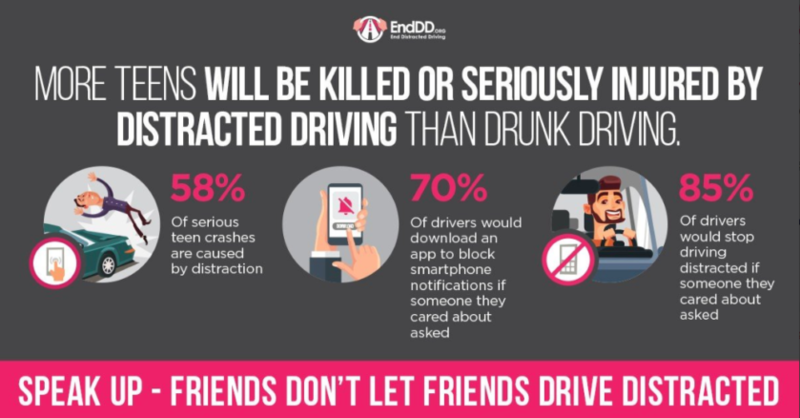 The “Distracted Driving — High Visibility Enforcement Campaign” is meant to discourage drivers from using hand-held phones or any mobile electronic devices. These oval car magnets have been around for a few years. 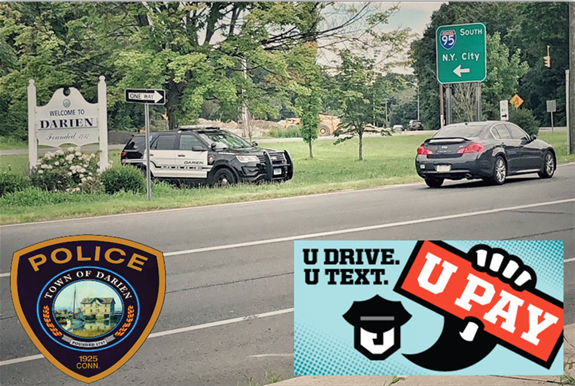 “Texting while driving is one of the leading causes of car accidents,” police said in the announcement emailed Tuesday evening. Police Chief Raymond Osborne previously mentioned the campaign at town board meetings. Adult drivers are allowed to use hands-free cell phones. Watch out, if you’ve got your fingers or your ear touching your phone. More police will be out on the roads watching for drivers on cell phones and will be paid overtime with a grant from the state Department of Transportation, Osborne said. They’ll be enforcing the law “with a heavy hand,” he said. End Distracted Driving is a project of the Casey Feldman Foundation. Information in this image are from the project, based in Philadelphia. "Many of you may have heard — about two years ago a girl got hit by a pickup truck after trying to get off the late bus," a school bus that had just let off students on the Post Road, Rhea Bhat, a Darien High School freshman recently told the Board of Selectmen. "That girl was me."